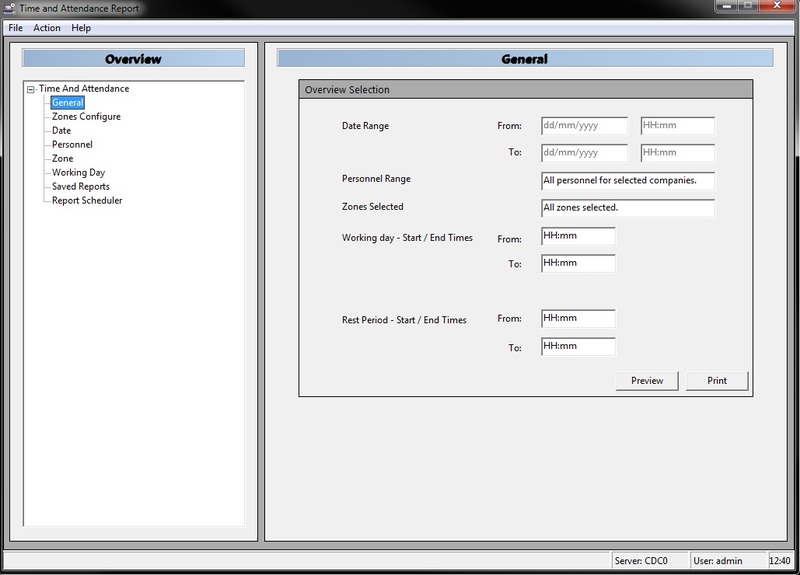 The AC2000 Time and Attendance module is a reporting method for the office manager/administrator who requires statistics on the in and out movements of staff. Integrated into the AC2000 access control system, it provides a very powerful, configurable tool that allows the administrator to run reports on the number of hours worked by staff. Rather than installing a separate timekeeping system, existing ID cards and card readers can be used for both access control and time and attendance. The AC2000 Time and Attendance module automates time-consuming administrative tasks and provides accurate employee attendance data that can be used with many third party products such as a dedicated payroll system for accounting purposes. AC2000 Time & Attendance can be used in conjuction with emerald for a complete Time & Attendance solution. With an emerald terminal at the entrance and/ or exit point of the building the card holder simply swipes thier badge at the emerald terminal and selects IN or OUT. This allows emerald to become a Time & Attendance reader, and administrators can view reports on AC2000.